Yesterday the Internal Revenue Service (IRS) finally decided how they wanted to regulate Bitcoin in the United States, just in time for tax season!! They posted yesterday announcing that virtual currency would be taxed as property, not as currency. It does not have legal tender status. Wages paid in bitcoin work pretty much the same way as cash. You get a W-2. Service providers taking bitcoin have to declare it on a 1099 and self-employment rules are to be followed. The Internet freaked out and a lot of bitcoiners were unsure how the new laws applied to them. Spelunk.in reached out to entrepreneur, hacker, and accountant Nick Farr for a bit more insight on capital gains taxation and how it affects Bitcoin, dogecoin, and other virtual currencies. Spelunk.in: Can you explain how capital gains tax works to a layperson who has never had to deal with it before? Sure. Capital gains is a tax levied on profits, (or a credit from losses) that happen when you sell assets you own. The two most common kinds among average taxpayers arise from stock investments and real estate. If your parents bought their house in 1980 for $50,000 and sell it today for $100,000, they would owe capital gains tax on that $50,000 profit from the sale of their house. Same thing with stocks. Say they bought a mix of tech stocks for $10,000 in 2000 and sold it today for $2,000. They could deduct that $8,000 loss from the $50,000 gain they had from the house sale. Of course the actual tax your parents pay on the $42,000 net gain varies on a number of factors, but that’s basically how it works. One key thing to remember is “basis”, the original purchase price of the asset. Your parent’s basis in the house is $50k. Their basis in the stock is $10k. Spelunk.in: When you report your btc gain, what happens after that? How would a low-level daytrader expect their taxes to look like? It’s the same thing as if they bought and sold stocks or any other kind of security. I have 500 BTC now and I know my basis in it was about $500 because I paid for that in cash. It follows that my basis is about $1 for every BTC I own. Of course, it’s worth a lot more than that now. If I were to sell 1 BTC for $600 now, I would owe $599 in capital gains since my basis in that 1 BTC is $1. That’s the cleanest example. It gets more complicated for miners, people who sell in bitcoin or earn it as wages or as a contractor, etc. Spelunk.in: If you bought or mined coin when they were cheaper, you aren’t taxed until you exchange them to USD, right? The current guidance released today treats mining differently from coin purchased for cash, no matter how it was purchased. Mined currency is taxed as income based on its fair market value when its received. However, if you mined Bitcoin before the guidance, you may be off the hook for the income component, but you’ll owe capital gains once you buy something with coin or exchange it for cash. Spelunk.in: What if you stored those coins, and every purchase you wanted to make, you had bought new coins to offset your purchase (effectively leaving your stored coins alone). This could be true of people using paper wallets. How would a person know what the value of the btc they’re spending when they bought at drastically different amounts and stored in a variety of ways? This is the same basis calculation problem one faces when selling stock. A friend of mine got 10 shares of Apple stock as a high school graduation present from one of their relatives who was an employee there. They got 100 when they graduated from college. They went on to work for Apple, vested and through exercising options ended up accumulating something like 4200 shares which they sold to buy a house. Figuring out their basis took me two days of tracking down brokerage statements, options agreements, old returns and historical stock prices. Fortunately, we have the blockchain to look at. Given that, as long as people remember which wallets are theirs, they could probably write up a script that compares the blockchain to the relevant cash prices at the time of each transaction and calculate their basis, gains and losses relatively easily. The critical thing to remember is that the IRS is looking at transactions as they’re received. Paper wallets is an interesting case… but it’s similar to keeping track of cash. In small amounts for the average person, it’s negligible. If you bought less than say $500 in bitcoin and spent it like cash on goods and services with a fair market value, there’s hardly a capital gains worth reporting. I go to Europe 3x a year and I don’t report the gains or losses associated with the few hundred Euros I keep in cash–because that is cash I intend to spend not invest or profit from. Spelunkin: Some may have already filed taxes for 2013, but the last question in the FAQ makes it sound like the taxpayer is liable for gains or losses that may have happened previously. Some early adopters may have held bitcoin up to 4 years ago, and wouldn’t have likely filed. What’s the best course of action for them? One critical thing in the IRS guidance that everyone seems to have missed is declaring income from Bitcoin you earn for services rendered or as an employee. If you’re paying employees in Bitcoin, you’re still liable for paying the relevant employment taxes and reporting the USD equivalent of that employee’s earnings to them on a W-2. There are a lot of people who pay their employees and contractors in Bitcoin, and the same reporting and withholding rules apply. Employment tax constitutes the bulk of the IRS’s enforcement efforts and I suspect employers using Bitcoin for payment are the first Bitcoin users the IRS will start going after. If you received Bitcoin for work, then you’re obliged to declare the USD equivalent at the time of receipt as income. However, once you’ve received it and reported those earnings, your basis in the Bitcoin is that USD equivalent. If it loses money when you go to spend it, you can claim a capital loss on that Bitcoin. 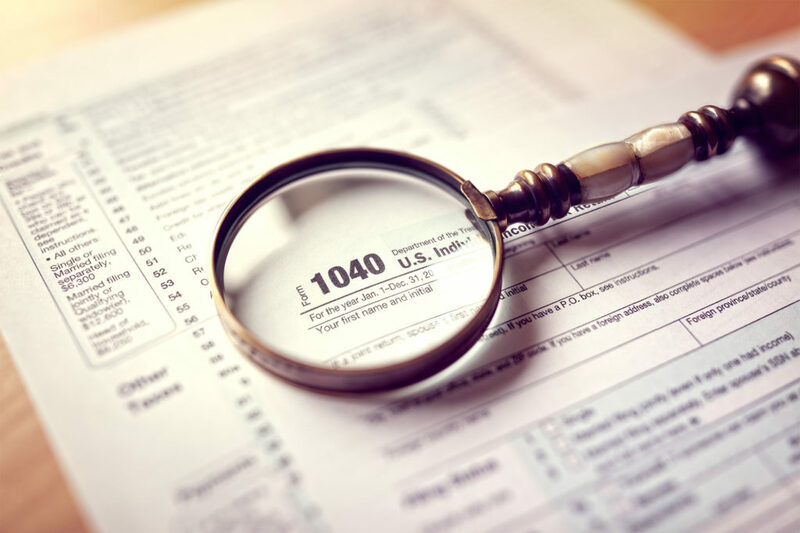 People who have already filed their taxes may have to revise them if they’ve earned a substantial income from Bitcoin related transactions. However, the notice from the IRS says that taxpayers may be able to seek relief if they can prove that they were not trying to skirt the tax laws, they were just unaware of what their obligations were. It tends to vary. based on what the IRS targets most aggressively. If most of what you earn comes from regular W-2 employment and your Bitcoin net earnings are less than US $500, then I’d say you’re probably in the clear since the tax on those earnings will likely amount to less than $100 depending on your tax bracket and you can make a case of expenses against that income. However, if you earned more than $500 from trading in Bitcoin, or most of your income is derived from Bitcoin trading then I’d strongly suggest seeking the advice of a CPA who feels qualified to practice in this emerging space. However, if you’re an early adopter that hasn’t converted much Bitcoin to cash at any point, or have simply used small amounts of Bitcoin to purchase smaller things here or there, then you’re probably in the clear. However, once you do spend or convert that Bitcoin after today, you should consult a CPA to figure out the optimal basis calculation for your particular situation. If you have cashed in a significant amount, then the safest guidance is to find a CPA and restate your taxes for this year, and possibly prior years. One interesting case involves people who lost money in MtGox. When they file taxes next year, they may be able to claim a substantial capital gains loss on whatever they lost due to that debacle. The other thing to remember is that the IRS is issuing this as preliminary guidance since it’s a significant issue for many taxpayers now. They may end up revising this guidance depending on the situation. Spelunk.in: With the case of an exchange closing (Mt. Gox or the handful of others who have), at what point are the coins considered lost? Without the exchange being up, how could a user know what value the coins to say their loss was? If a user put in $250 a year ago, and the coins were valued at $1800 but never removed from the exchange, is the loss $250 or $1800 (1800 being the value at healthier exchanges, not the failing one)? With the case of Mt. Gox, it closed in 2014 but people weren’t able to get their coins out in 2013. Would the loss be 2014 or 2013? This is where that tricky Basis thing comes in. Their basis in the coin is $250 since that’s what they put in. The value swung wildly (just like stocks do), but they only realized a gain or loss when they finalize a transaction on those coins. For now, it’s pretty safe to say that those coins are worthless. However, barring a concrete declaration or settlement from MtGox between now and April 15 2015, they could probably claim that $250 capital loss on their taxes next year. They could not claim them on this year’s taxes (covering activity in 2013), since the loss didn’t happen in 2013. However, let’s take another case. Let’s just say that they sold off a slice of that initial bitcoin for $250 at the height of the market in 2013 just to get their initial investment back. They’ve “recovered their basis” at that point, so they’d owe no capital gains tax at all on their taxes this year (which cover 2013 activity). However, when they file between January and April of 2014, they would not be able to realize the loss of the rest of their coin, no matter its peak value, since they recovered their basis in 2013. Nick, thanks for answering our questions! We hope this helps make tax season a bit easier to understand for everyone. For those of you navigating the tax side of your coin, we found a product called https://bitcointaxes.info/ that will help track your gains and tax liability. We haven’t reviewed this product yet, but wanted to share it because it seems promising.